I have spoken at great length about ITG Patchworks products that includes a lot of reviews of screen protectors and cases. 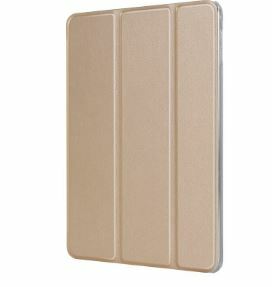 Today, I’m going to talk about some protection for the iPad Pro with the PureCover case. It is a soft PU leather cover, which means that it is quite classy. Seriously, the first thing that I am going to say is that if you have a 12.9 inch iPad Pro, then you should just purchase this. Oh, and it is also has a 9.7 inch version. The PureCover has the ability to fold up and be a stand, and it can be done two ways. It can lay flat at an angle, or stand upright at an angle. So this is quite a thing for viewing video footage. By the way, there is an auto sleep that can turn the iPad Pro on and off. Of course, that is just for protecting the front of iPad Pro. As for the protection of the back of the iPad Pro, it has a clear body and UV coating. Don’t worry, you will be protected. The PureCover also has an interesting pocket to protect the Apple Pencil, which you will also love to have. So, I’m going to recommend this Patchworks product, and it can be found on the Patchworks site for $45 in Champagne Gold, Black, Gray, Navy Blue, and Pink. Oh, and don’t forget the 9.7 inch version as well.